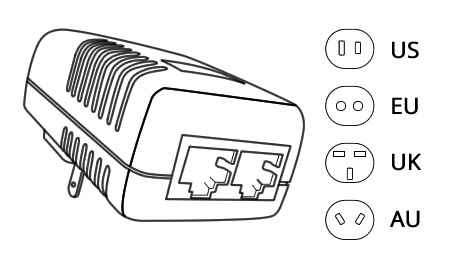 Connects your "Power Adapter" to the "Power Injector" or "Switch"
You finally get your iPad, Samsung Tab, or Amazon Fire ready to mount on a wall, table or floor stand...but wait - is the nearest A/C power outlet is on the other side of the room? We can help! 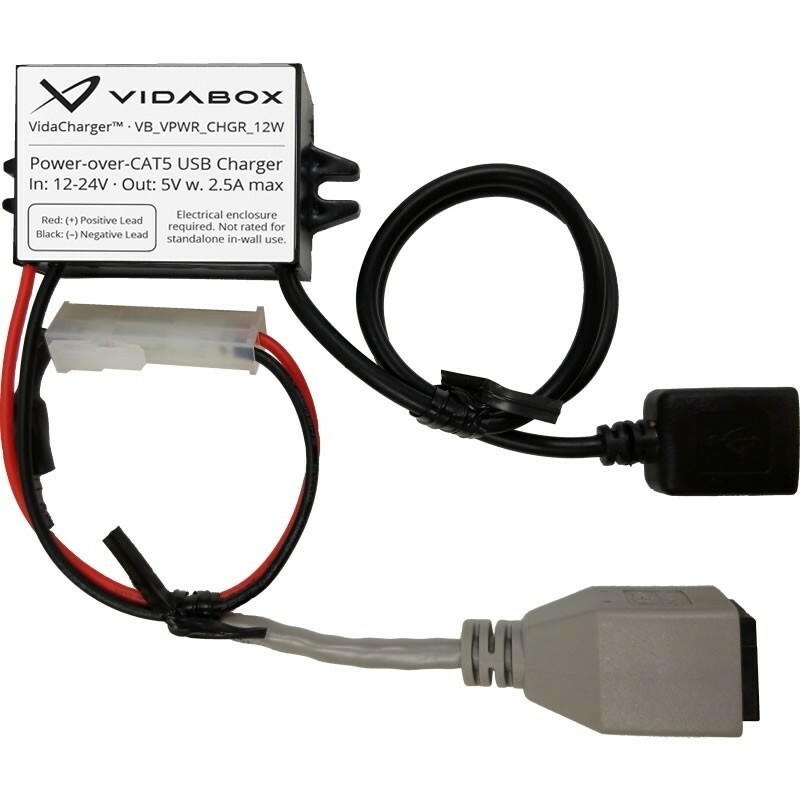 The VidaCharger Adapter is the "magic box" that can help bring A/C power from any outlet - right to where you need it. 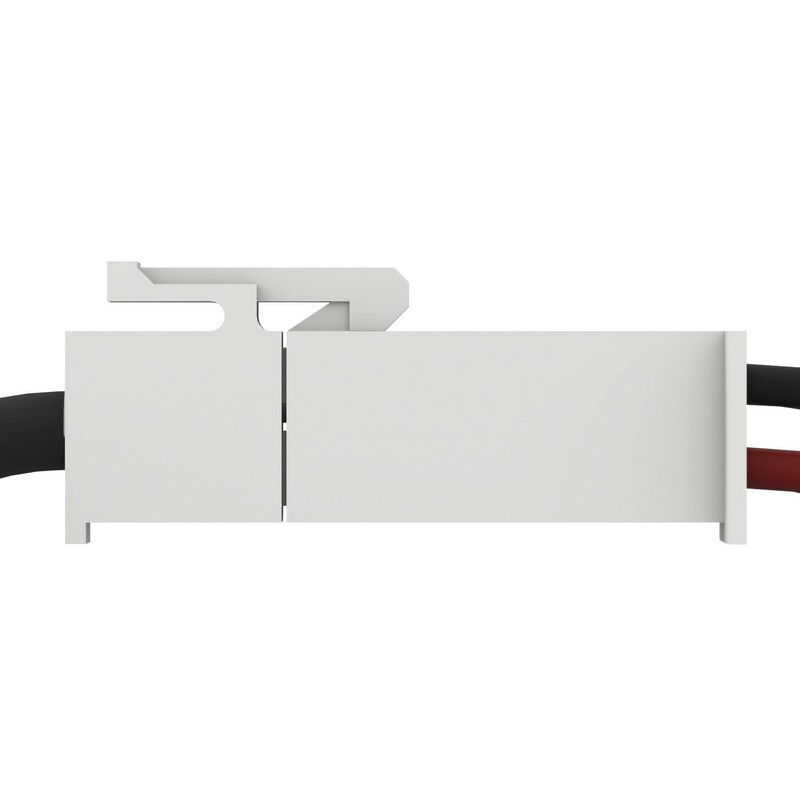 This small box will convert a 24V powered CAT5/PoE cable, 2+ conductor cable, or speaker wire to a powered USB port for connecting to your device's USB charging cable. Now that's pretty cool stuff! 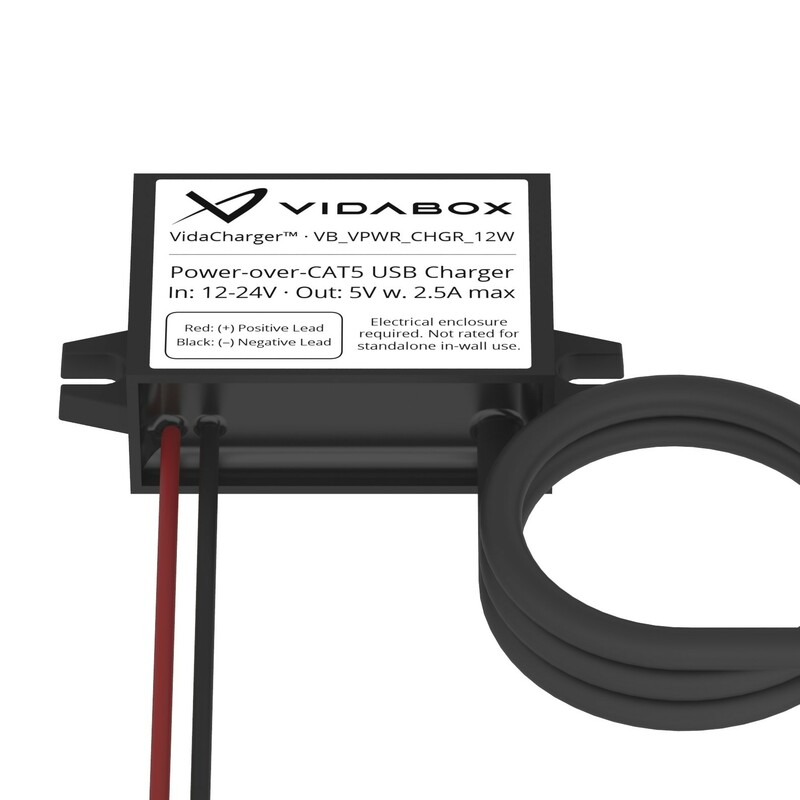 Whether we have a new commercial construction with CAT5/5e/6, or we're trying to retrofit a solution in an existing home with 2 conductor cable, telephone wire, or basic speaker wire - the VidaCharger adapter can work with any wire with 2 or more conductors*! 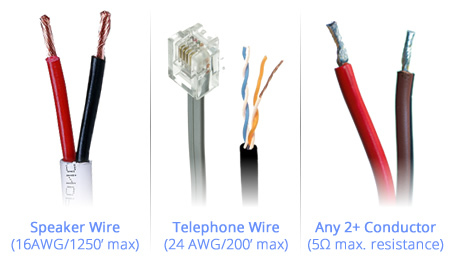 * - Maximum resistance in total wire run should be no more than 5 Ohms. Ever tried charging an iOS device with an Android or generic charger (or vice versa)? 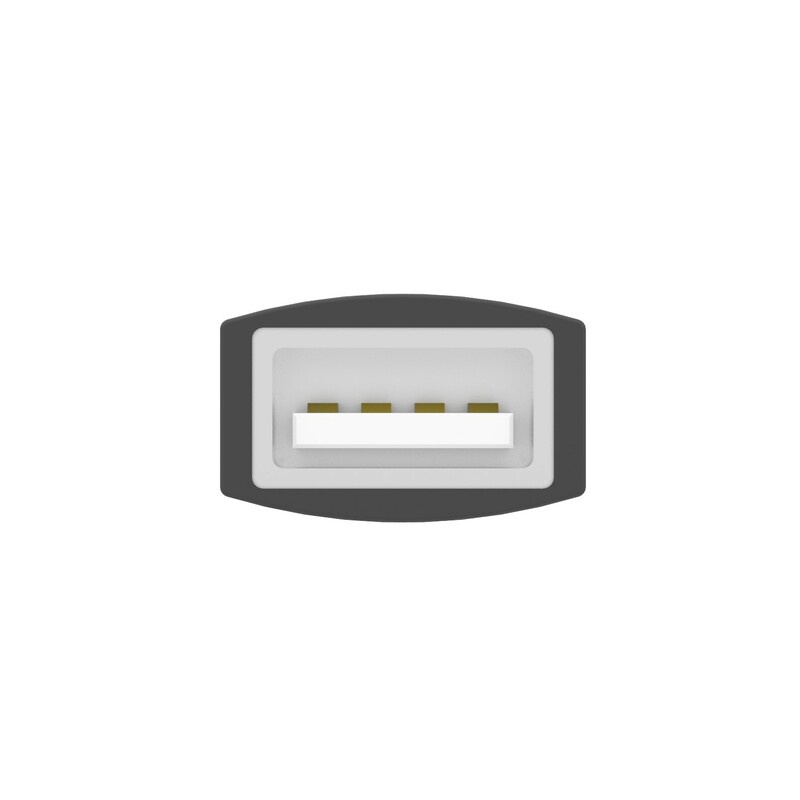 You've probably noticed that it doesn't charge as fast - that's because iOS devices have different USB charging standards compared to other devices! 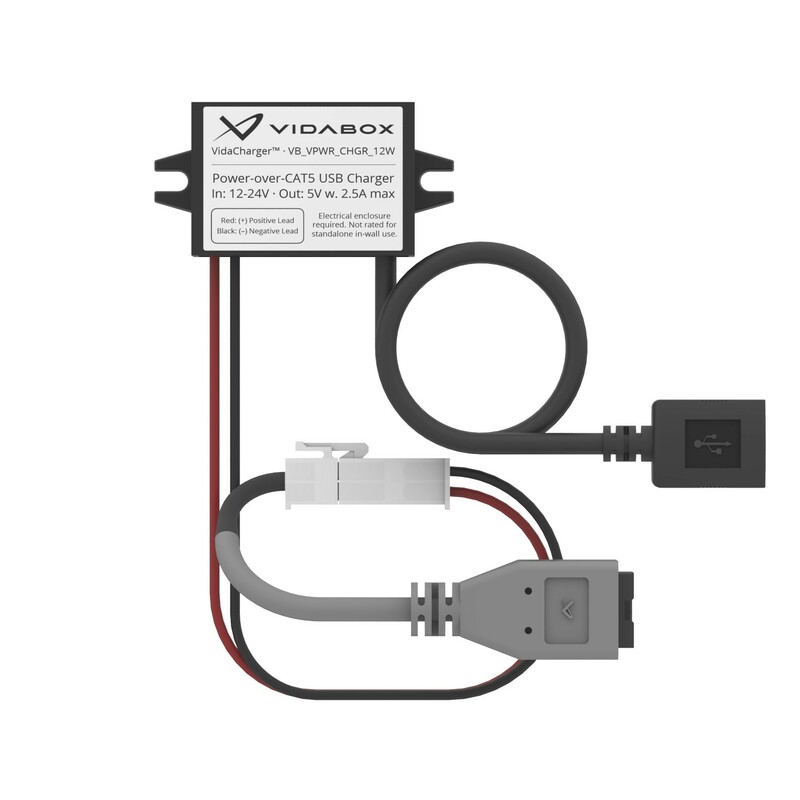 VidaCharger adapters include built-in, integrated circuits that optimizes charging and makes sure your tablet doesn't slowly drain down to 0% due to "slow charging!" 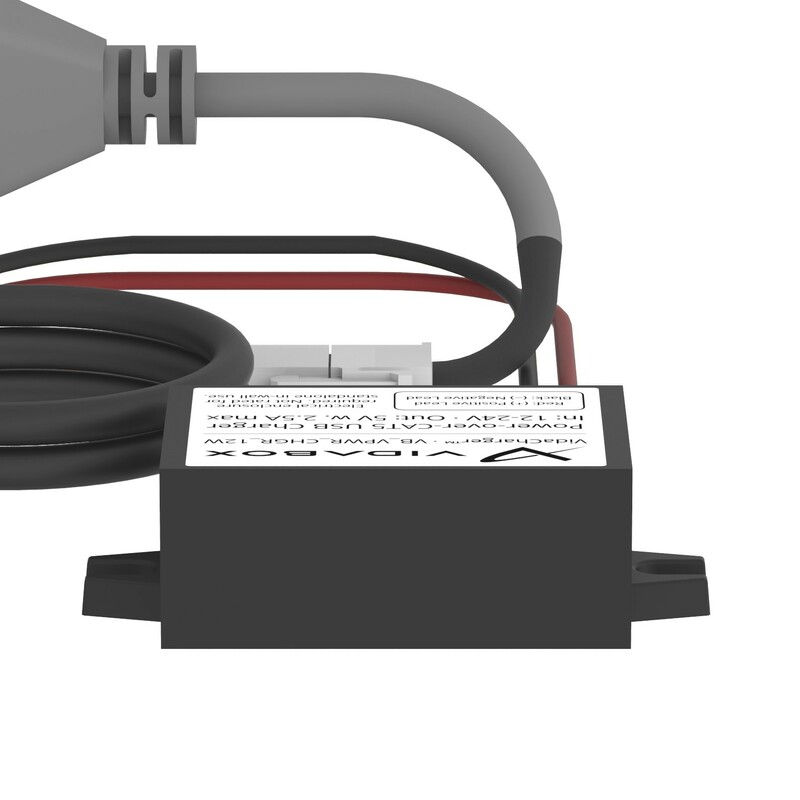 Locate the nearest wall outlet (120-240V A/C) to your tablet mounting location. 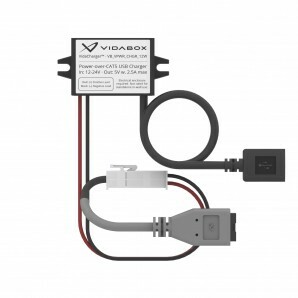 Plug in our VidaPower 24V Injector/24V Switch to the outlet, and connect a standard CAT/Ethernet cable to the appropriate port. 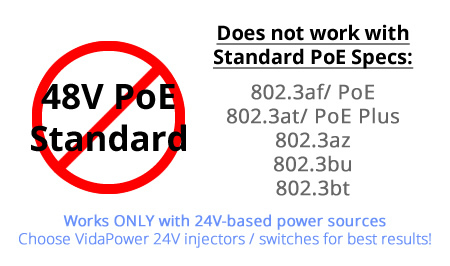 DO NOT use a regular / 48V PoE switch with our 24V VidaCharger/VidaPower combos! Otherwise, you may damage the connected iPad / tablet! 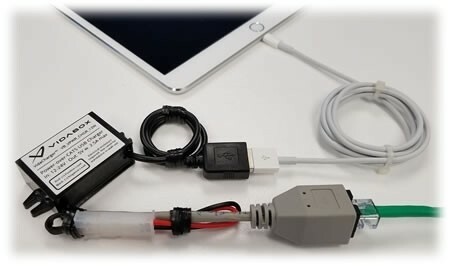 Consider our Redpark adapter (for iOS/iPad devices) or the Lava adapter (for Samsung Galaxy Tabs) for use with regular / 48V PoE switches! The second option is to use our VidaPower 24V switch, which comes in 4-port, 8-port, 16-port, and 24-port configurations. 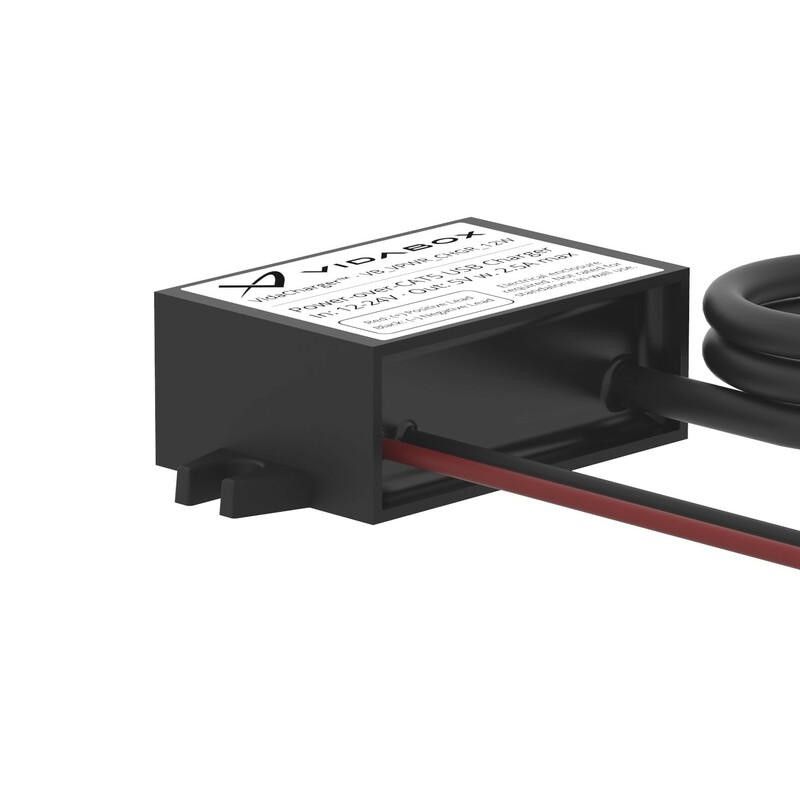 ** 24V VidaPower Switches work just like injectors, and only uses (1) 120/240V power outlet per switch, making it ideal for high density installations where multiple VidaChargers are being used. 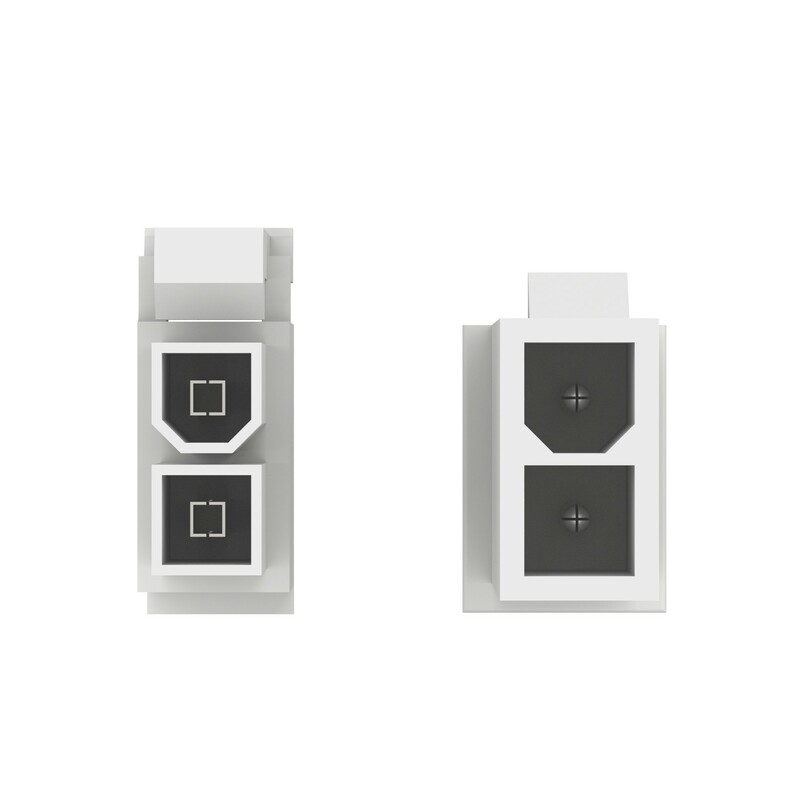 ** - 4-port options available now. 8-port & 16-port options coming Q1 2019. 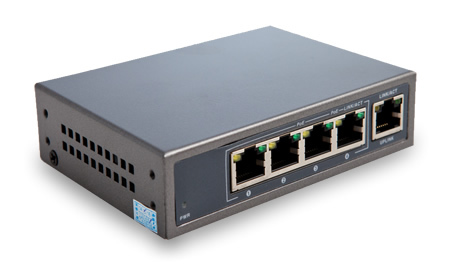 24-port options are available on special order. We design and engineer these pieces right here in Long Island, New York. 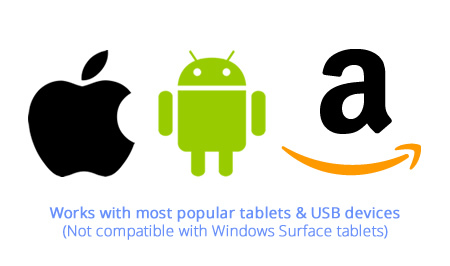 We know your tablet setup / project incorporates hundreds or even thousands of dollars in time, software and hardware - so we thought it would be best to design and engineer the best protection for your display...right here in the USA! 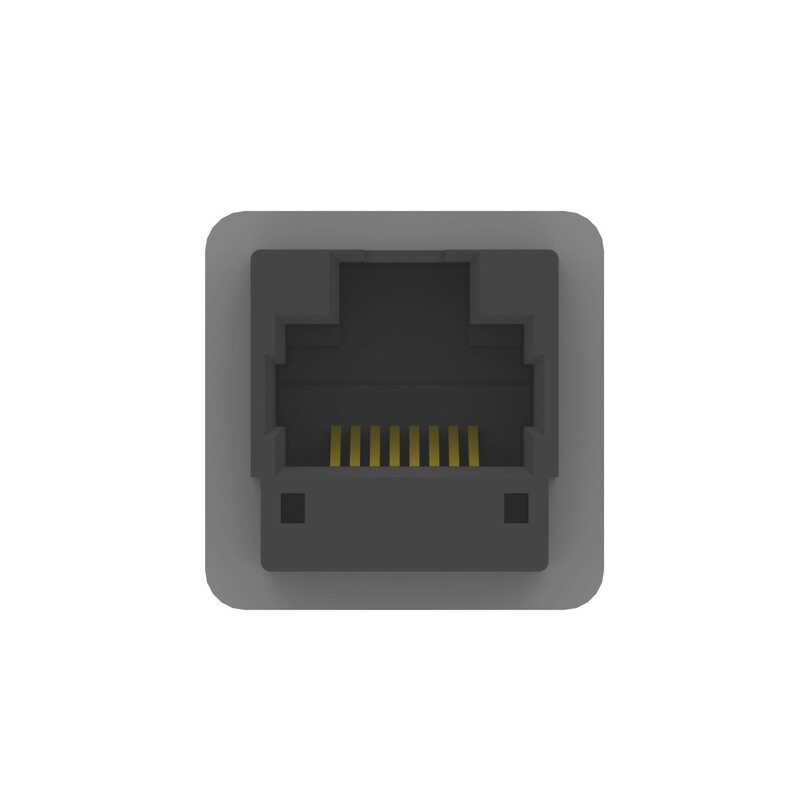 Up to 250' [75m] CAT5 cable length. 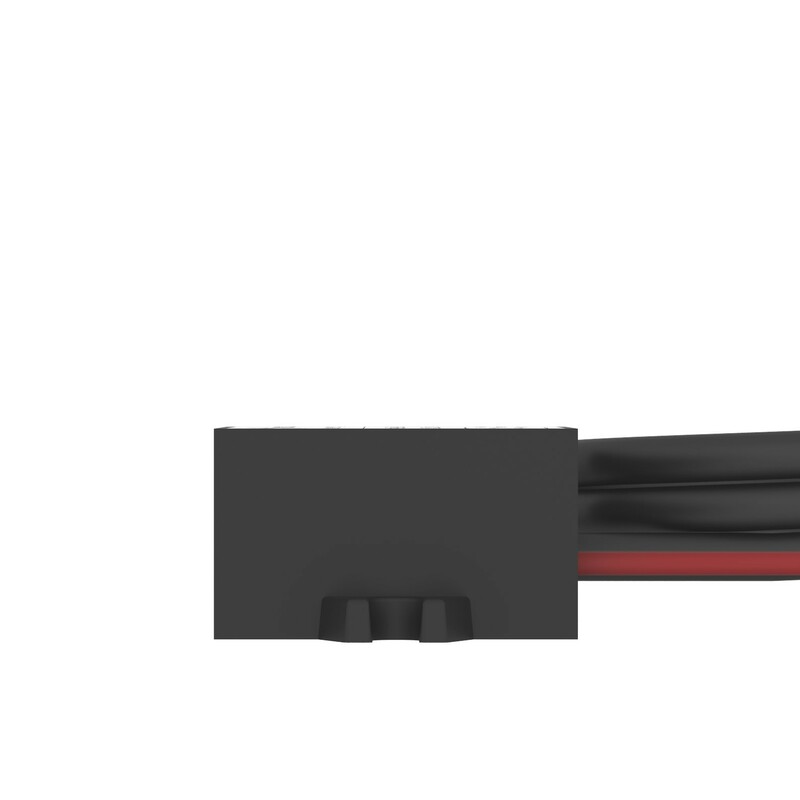 Supports 600' [180m] speaker length & beyond.